We met in Seattle, a place we both call home: though he was living in Canada studying to be a minister, and I was freshly home from a 6 month stint in India, and living with my parents in Eastern Washington. On our first date I told him, “uh, I don’t see this going anywhere serious, but I definitely think we could have fun.” Boy, was I wrong! 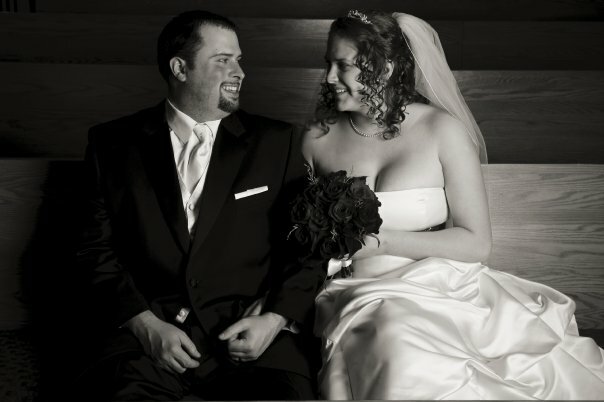 On December 20, 2008, in what we dub “Snowmageddon,” we got married. It was the winter wonderland wedding we had both always wanted, though there are many stories (some funny, some almost-tragic) from that night, it was certainly a beginning of a journey together. We settled down into the little suburb where he grew up and I grew to love. We bought a dog, and settled into married life…with all of its ups and downs.